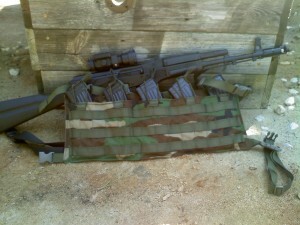 Here some more pics of the AK47 chest rig from our customers in US Woodland Camo. Thanks guys for getting these over to us. We have added Woodland camo back to our line. 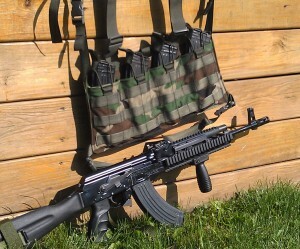 All AK chest rig are now available in the Woodland Camo. Lauren and Courtney from the Hazard girls show what is need to survive a Zombie Apocalypse. These girls are running the right Tac gear for the job. 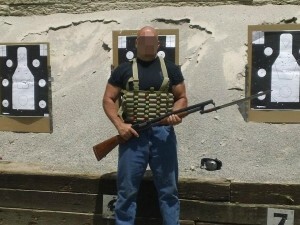 Check out that Tactical Shotgun Shell chest rig!!! You can also check these girls out on the Hazard girls youtube channel. 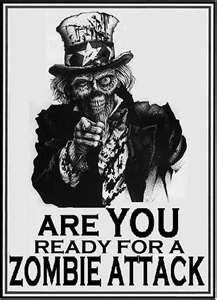 These days Zombies or Bath Salts Addicts are popping up all over. From Louisiana, Miami, New York and coming to a town near you. The Bath Salts (Zombie Attack drug) are causing unusually behavior…like use their jaws as a weapon of attack. Bath salts cause the body temperature to rise to an extremely high level, causing users to rip off their clothes, become aggressive and extremely strong in a state of extreme delirium… basically PCP on Crack. Is this just the beginning of a Zombie apocalypse??? Everyone knows the best way to stop a Zombie is by taking off their head. The shotgun is the perfect weapon for the job. 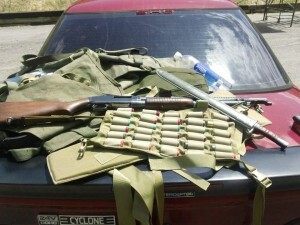 But how do you carry your shotgun shells??? 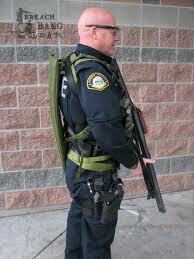 The shotgun shell chest rig supports the shotgun as the primary weapon and holds 30 rounds of put down fire power. 5 columns by 6 rows support the 30 rounds of 2 3/4” or 3” shotgun shells. Hornady makes the Zombie Max Shotgun Ammo. This ammo is designed to “Make dead permanent”. 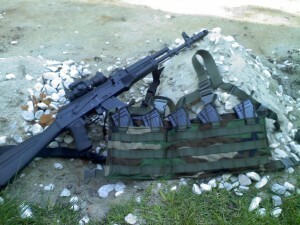 This rig is not just for the Zombie apocalypse prepper. 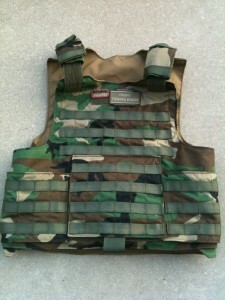 The shotgun shell chest rig was initially designed to support military tactical shotgun operations and to bring the shotgun back into police service. The need to carry advanced munition such as gas ferret rounds, rubber shot/super socks (bean bag rounds), shock-lock and Taser Xrep catridge. MMA Candy girls with all their BJJ training and rolling around on the mats with each other are getting ready, and they know that when it comes to stopping Zombies a shotgun is a must. Some talk about being prepared while others do something about it. The shotgun shell chest rig is available in several colors: Mutlicam, A-TACS AU, A-TACS FG, Coyote, Ranger Green, Khaki, OD, Woodland and Black. 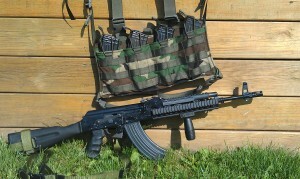 We released the 7.62/308 Chest rig during Shot show 2012. It is built on our popular low profile rig design. 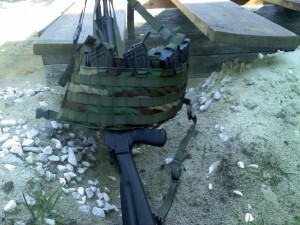 Here is a closer look at the 762 Chest rig and the 308 magazines that it supports. The 762 chest rig is available in 5 mag or 4 mag configuration in multiple colors: Multicam, A-TACS FG, A-TACS AU, Coyote, Khaki, Ranger Green, OD, Woodland and Black. 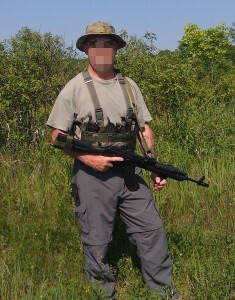 In the beginning there was US Woodland, then MARPAT,UCP, Tiger, then Multicam/OCP and now a reemergence of US Woodland. For some it went a way and for others it never left. The next few years is set to bring a series of officially US Army issue camouflage schemes that will replace all existing stop-gap patterns. Maybe, just maybe it will be US Woodland so we can go full circle. 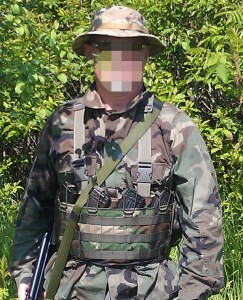 The US Woodland pattern is still arguably the most widely-recognized camouflage pattern in the world and still in use by multiple countries and their armed forces, paramilitary forces, police forces, firefighting forces, search and rescue units, as well as other security forces, counter-insurgency/counter-terrorism forces and other emergency services. ERDL the early version of Woodland was in development around 1948. The official name for the four colour Woodland is known as M81 US Woodland Camouflage pattern It was the default camouflage pattern issued to United States Soldiers, Marines, Airmen, and Sailors from as early at 1981 until the early 2002 when the Marines replaced it with the current digital camo. Other branches have followed with other colors and patterns. So with sixty years of slight pattern evolution there is no wonder why so many still love it. Because of this love we have brought US Woodland to market. 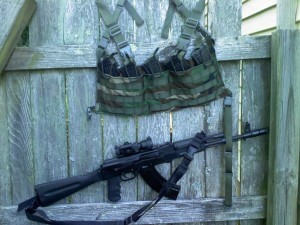 Our AK chest rig Woodland Camo line is available for the AK47 and AK74 rigs. 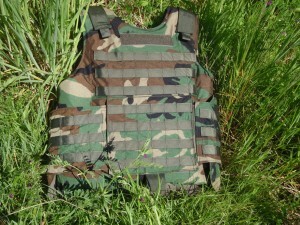 Since we were already at it we decided to make our entire tactical gear line available in Woodland. 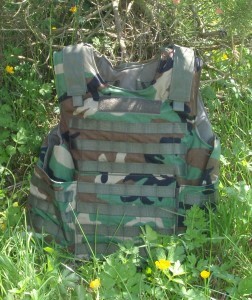 Plate carriers, BALCS and OTV/IOTV body armor carriers are available in Woodland as well. Thanks to all those that sent in pics of their BCS US Woodland Camo gear.